In addition to being a country girl I've always enjoyed the early rock & roll music of the late '50s and early '60s. (This is one of the many reasons why I love Conway so much...he's the best of both worlds!) I'm crazy about that whole era and have often felt that I was "born too late." While I was in the market for the Victrola record player I bought this summer, I was not in the market for a new CD player...until I saw this Victrola Retro Desktop Jukebox CD player. 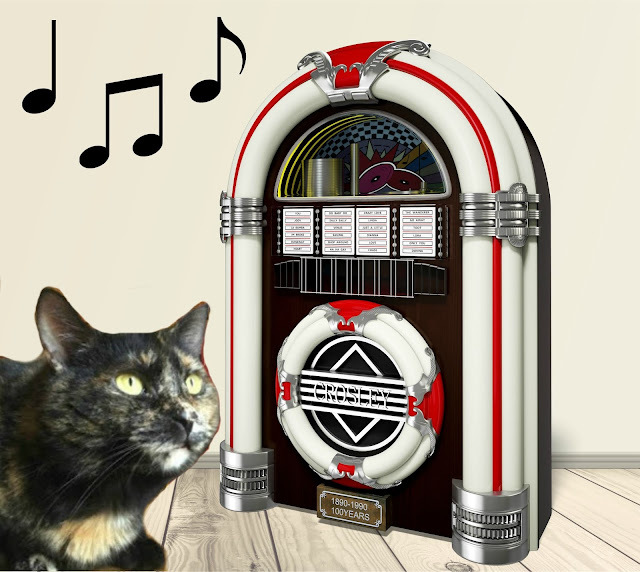 As far as I'm concerned, Conway's music just belongs on a jukebox, and I knew it would make the purrfect addition to my collection. In fact, back in 1990 he was one of the inaugural 10 artists inducted in the Jukebox Hall of Fame on the occasion of the jukebox's centennial birthday! It arrived on Friday and I love it even more than I thought I would. It is SO impressive looking and the sound is amazing. Instagram limited me to one minute, so here's the whole song I posted. It's one of my favorites because it shows how unreal his voice was. 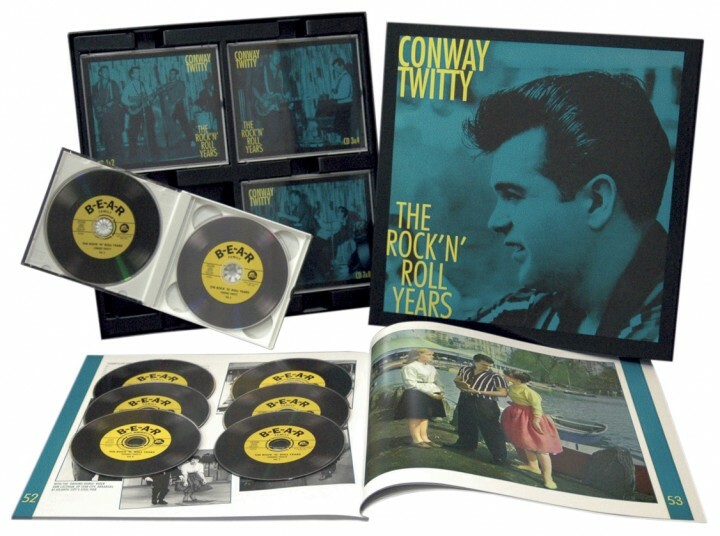 Some of you have said you really enjoy Conway's rock music, so here's a few more songs you would've been likely to hear on a jukebox back in the day! There will be loads of sounds from that era coming from my jukebox because in addition to having 95% of his country catalog on CD and vinyl, I just bought this amazing 8-CD, 202 song box set that encompasses his entire rock career...Mudpie's poor little ears!!! Do you love the nostalgia of a jukebox as much as I do? That is a very impressive CD player!! The jukebox just gives the music a sound that no other device can duplicate. Maybe it's because the jukebox is found in places where music is important, like malt shops, drive-in's, bars, and restaurants. And yes, Conway never sounded better than when he's on the jukebox. Great post. Have a blessed week. Yes, jukeboxes bring back good memories. I love jukeboxes. They are so cool. Great songs. This is really awesome! That jukebox looks like it would be a lot of fun to have. This is surely the best way to listen to Conway (well, except for a live showing, of course). Mudpie, we suggest you not knock this onto the floor. We don't want to see you get evicted (then again, if you get evicted, you can come live with us!). My uncle has an old vinyl jukebox and once when he was moving, it was in my parents' basement when we were kids. I was fascinated by it and wished we could have kept it but of course, he took it back. I love jukeboxes and I have always felt I was born in the wrong time too :) I wish I had lived in the 1940's and 50's. We love jukeboxes especially when they're playing old Elvis and Jerry Lee Lewis songs. The first time TW walked into Maxwells, the club in Hoboken she frequented, she knew she she home when she saw a Patti Smith song on their jukebox. Conway does have a good voice. I prefer it when he doesn't get too nasally or carry too much of a country twang in his songs. I really enjoyed his Mona Lisa/Danny Boy mashup and hokey smoke, I'm lovin' your last selections. That Conway boy really knows how to to make a girl's heart skip a beat. ;) Thanks for sharing the dance floor with the 4M gang, dearie. 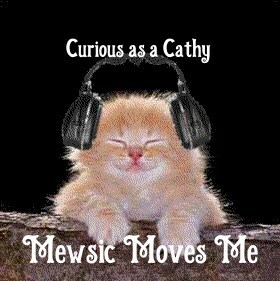 Have a tunetastic week. Yes, jukeboxes are so fun!